WOW! Totally updated kitchen and baths. Gorgeous cabinets, Corian counters and lots of detail! 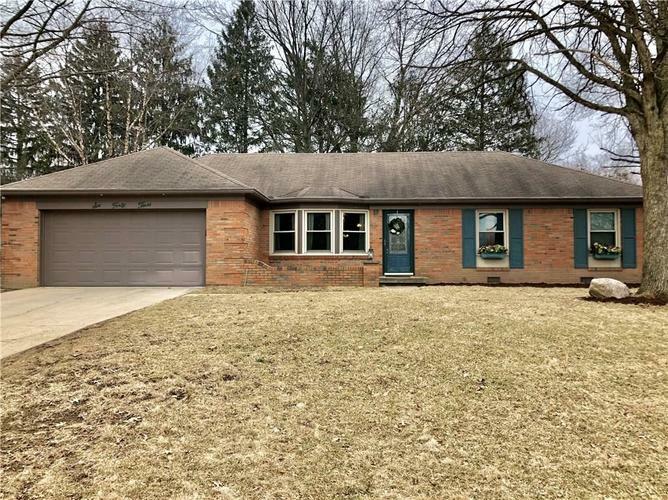 This great home features a living room and a family room, plus 4 bedrooms, 2 full baths. Outdoor living space and beautiful larger trees grace the lot. 15x12 sun room offers enjoyment 12 months of the year! Super large laundry room with utility tub and door to back yard. Sunroom is not included in Sq. ft. Sunroom has its own Heat & Cool, similar to a hotel room! This home will be gone in a snap...Look, Love, Move! Directions:465 West to Rockville Road, West to High School Road, turn right, right on Castle Manor, left on Chapel Hill West Drive, home on right.